We all know surfers can be notoriously difficult to buy for. 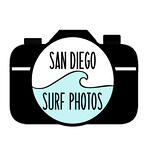 Set yourself up for a gifting win with one of our awesome Surf Photo Shoot Gift Certificates. They make great gifts for the holidays, birthdays, thank you's or just because! There's nothing better than seeing your surfing captured in beautiful, professional images. They're perfect for printing, sharing online/social media and keeping those memorable moments and experiences forever. *1.5 hr personal surf photo shoot Up to 4 people - so your recipient can also bring their surfing buddies along too. *All of the photos from the session (wipeouts included) no restriction on number of shots in your gallery. *Photos provided in a personal gallery - HD digital downloads We come to your chosen surf spot - anywhere in San Diego County.